This time around things were a lot different. I didn’t have the help of extra hands, and instead of professional kitchen equipment I was using the KitchenAid grinding and stuffing attachments. This challenge was hard work! 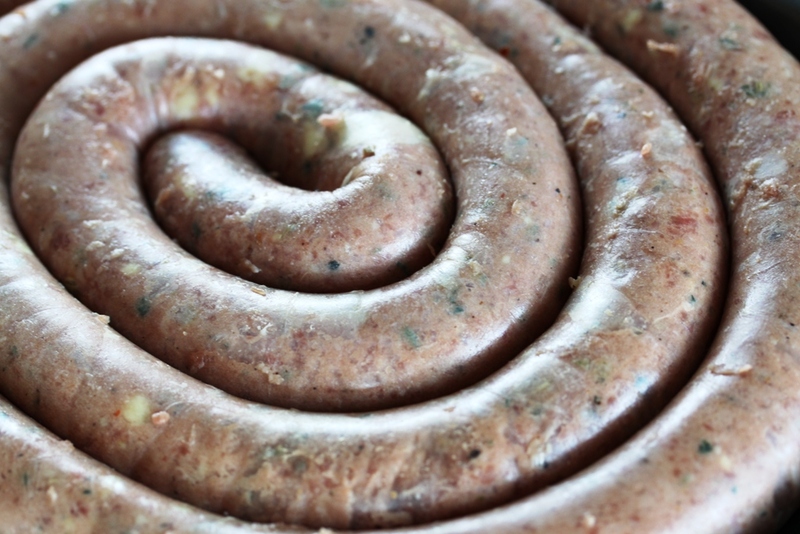 To make matters worse, I was making sausage late on a weeknight, so I was trying to rush through it. In short, after 5 hours of directing my frustration at my KitchenAid attachments, I ended up with 16 gorgeous sausage links. By now it was already 11:30pm. You would think that at this point I would refrigerate the sausages and go to sleep. No, no. I had to taste the fruits of my labor! And after tasting, I decided that the hard work had been worth it. 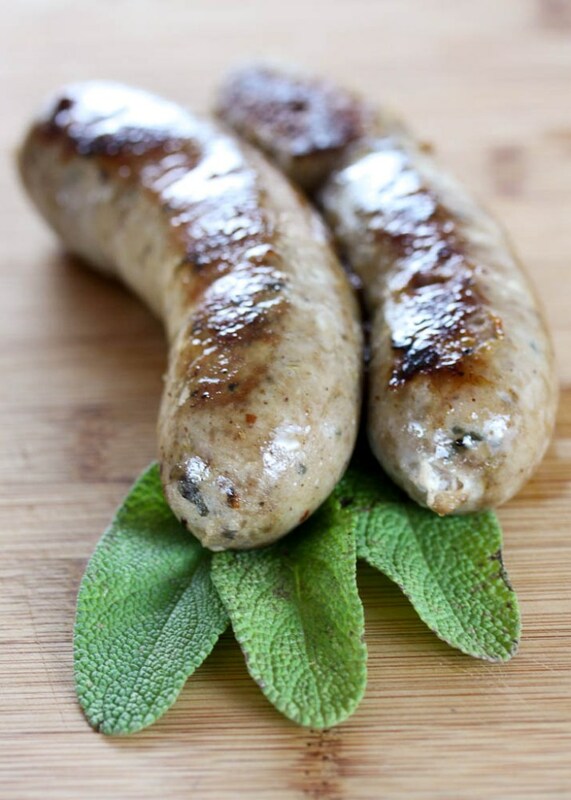 My cheddar, sage, and sherry sausages were succulent, savory, tender, and moist. I never expected for my first sausages to come out this good. I also love the fact that I made the sausages with ingredients already in my kitchen. I only shopped for two ingredients: the pork shoulder and the casings. 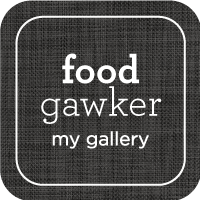 I was planning on making the fresh garlic sausage recipe from Charcuterie, so that is what I based my recipe on. Then I saw that I had extra sharp white cheddar cheese and thought that it would go well with sage and sherry, which I also had on hand. 1. Mix the pork, salt, pepper, fennel seeds, red pepper flakes, mustard powder, ground coriander, sage, and garlic. Refrigerate for 2 hours or freeze for 30 minutes. 2. Grind through small die of your grinder in a bowl set over ice. 3. Using a stand mixer fitted with the paddle attachment, mix the ground mixture for 1 minute. Slowly add in the sherry and wine. Mix for 1 minute, add in the cheese and mix until the cheese is incorporated and the mixture looks stick. 4. Stuff into casings and twist into 6 inch links. For tips on stuffing check out my post on stuffing here. Of course, sausage goes well with pasta. I couldn’t miss the opportunity to make a pasta dish using my homemade sausage. 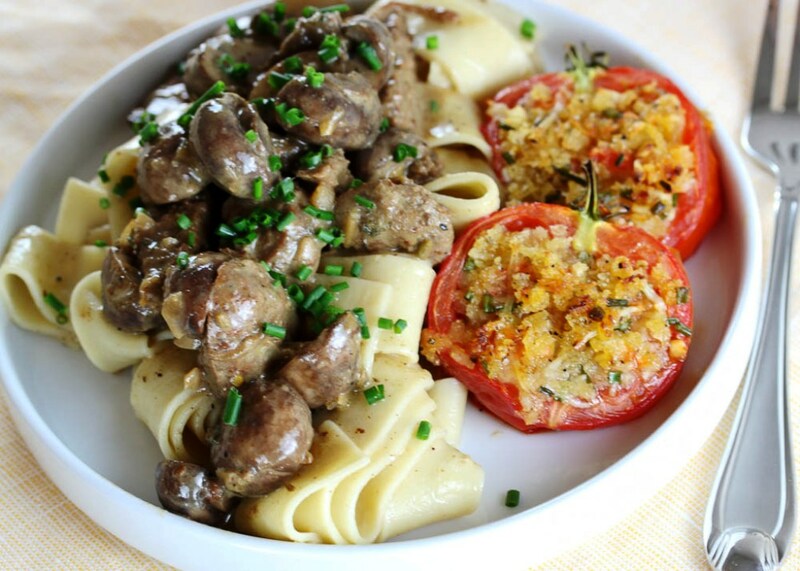 This simple dish of pasta with mushrooms and cream is the perfect vessel for any savory pork sausage. 1. Place peeled garlic cloves in a piece of aluminum foil and sprinkle with olive oil. Bake at 400°F for about 30 minutes. Remove from oven and set aside. 2. Start cooking the pasta in salted water according to package instructions. Cook the pasta about 2 minutes short of the recommended cooking time. 3. 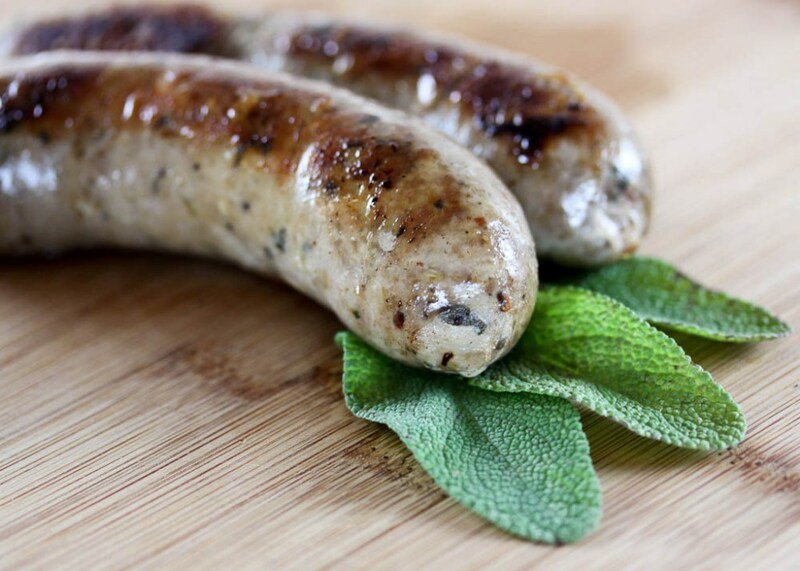 In a large skillet, sauté the sausage in 1 tablespoon olive oil over medium low heat until browned and cooked through. Remove sausage from the pan and set aside. Add in the mushrooms and cook until browned. Remove mushrooms from the skillet and set aside. Add in the sherry and wine and deglaze the pan. Add in the cream and the roasted garlic. Simmer for 5 minutes, or until liquid has reduced by half and thickened. Try to dissolve the roasted garlic into the sauce by mashing it with a fork. 4. Cut the sausage links into bite sized pieces. Add the sausage and mushrooms back into the skillet with the sauce. Add in the cooked pasta and let simmer in the sauce for 1-2 minutes. Garnish with chives or parsley. Serves 2. OMG those sausages sound divine. I might have to tackle this recipe with kitchenaid attachments, thought it doesn’t sound like it was the easiest. great sounding recipe! I’m impressed beyond reason. And the twine (?) is so pretty! I SO admire you for tackling this on a weeknight AND eating the sausages afterwards 🙂 I cannot wait to try this recipe – looks amazing. Well done. 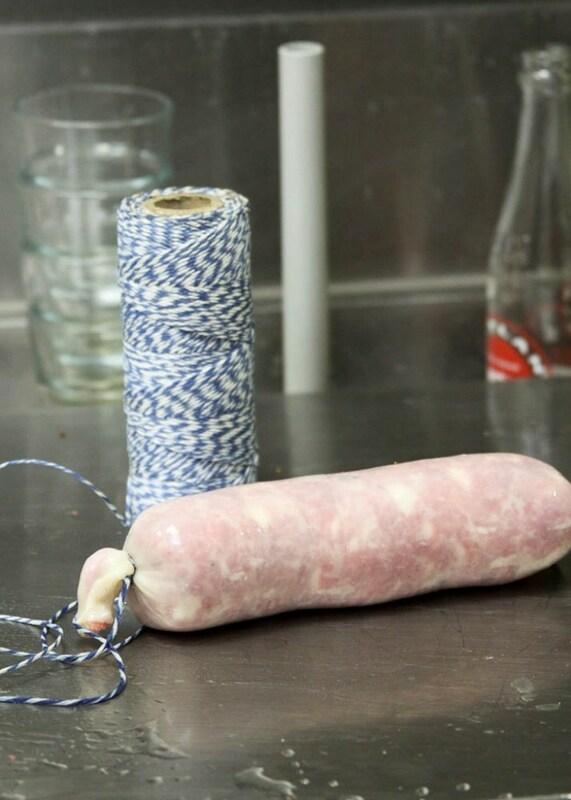 And the photo of the little sausage tied with butcher’s string? Adorable! Jen–Thank you! I think that the second time around should be a lot easier for me, now that I know what toe expect. Olga–Thanks! Next time I make sausages I will have to save you some! Mardi–LOL! I just had to try them! Thanks! These look absolutely fantastic and thank you so much for the “stuffing 101” tips. I re-read them right before I stuffed (and I, like you, did it myself) and it helped so very much! Oh those look like delicious sausages. And yes doing it on a week night, huge effort. 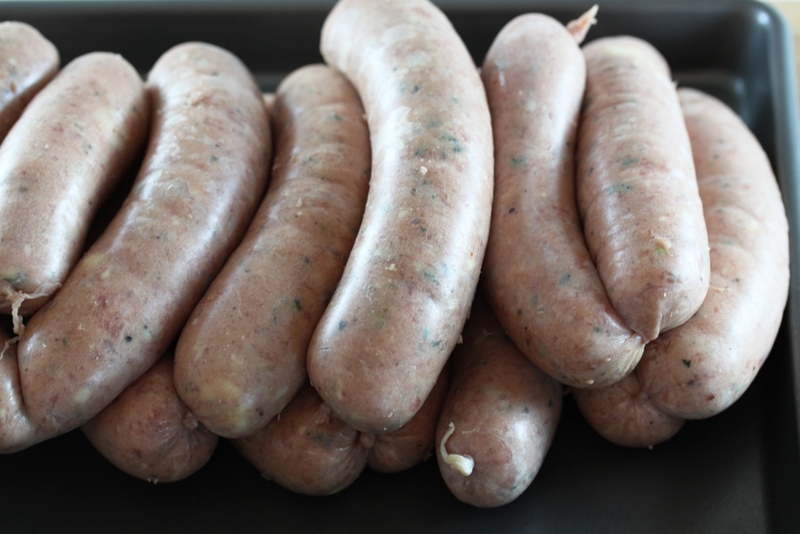 I seem to have fallen behind in my sausage escapades…may have to designate next weekend sausage making weekend! These look absolutely fantastic. I cannot wait to try this recipe, it looks absolutely amazing. Very well done!! !